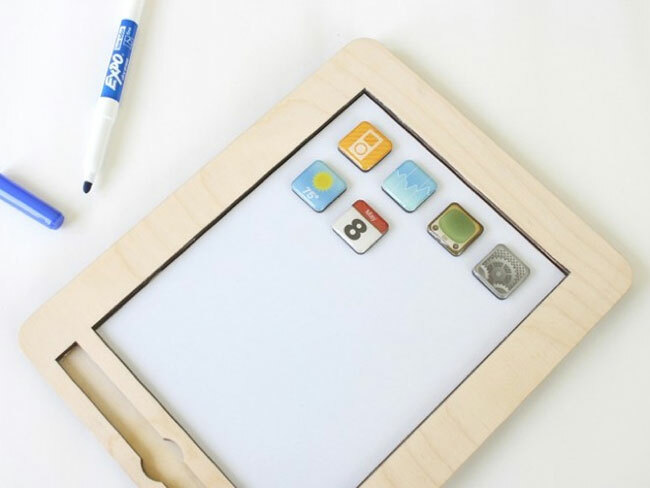 If you would prefer not to have your children use and abuse your iPad you could try and substitute your nice new iPad 2 for a wooden anaPad. But if pulling an iPad from your children’s grasp is not for you. The anaPad also makes a great magnetic white board with matching application magnets to match, made to the exact dimensions of Apple’s iPad. The anaPad has been created by Etsy maker twigcreative and is available to buy for $30, a small price to pay to try and save your own iPad 2. Although the magnetic application icons maybe just a little close to the real thing so if you are interested in purchasing the anaPad I wouldn’t wait too long as Apple will probably issue a cease and desist letter very soon. But if your quick its now available for $30 over at Etsy.